** Accreditation - Our GAFM ® Certification Board is TUV Accredited and ISO 9001 Certified for Quality and ISO 29990 Certified for Educational Standards. In academic alliance with the ACBSP National Business Accreditation Agency for Certification Standards worldwide. The GAFM ® Board of Standards is a founding member of the quality assurance standards memorandum of the CHEA International Quality Group. Boost your Credentials With Accredited Certification. Waivers and Certification for Graduate Exams/Degrees, Faculty, & Executives - If you have an MBA, MS, CPA, JD, or PHD, please apply directly for certification with your resume or CV. Please email info@gafm.org with your CV and tell us which certifications you are qualified for. We can review it within 72 hours and tell you if you are qualified. Welcome to GAFM®/IBS Global Academy of Finance and Management ® International Board of Standards. 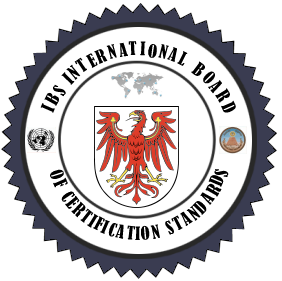 Our International Board of Standards Accreditation council is located in the EU and USA. Our Certification Body regulates the standards for certification and accredited education criteria for qualified training and degree programs which are a direct path to our certifications. The Board of Standards awards designations and board certification in the finance, accounting, risk, economics, and management consulting areas. The GAFM/IBS is TUV Accredited and ISO Certified for Quality and Training. Because our certifications and designation requirements are based on earned degrees and exams from the best global degree programs, our standards are unmatched. Thus we confer designations which are based on accredited degrees, training, education and qualified exams. The GAFM® was established in 1996 by the original founders of the Chartered Graduate Leadership Society. Our Advisory Board is composed of members from over 50 nations including: CEOs, Executives, Professors, Deans, and industry experts from around the globe. We desire to raise education standards and ethics in the business and management industries. GAFM ® Standards: Since 1996, the Academy has been promoting accredited graduate standards for certification in business, management, law, and finance. Since our inception, the Academy has been focused on quality assurance based on: accredited education, exams, assessment, ISO Standards, education, ethics, and continuing education. Experience: Further, applicants must also have the necessary experience in practice, research or publications in their respective areas of expertise. GAFM ® International Governance: The GAFM IBS is a US & European based council for certification standards with governance and management offices located in the USA. Our standards council and international offshore certification body confers credentials from the GAFM IBS Board. GAFM ® Accreditation and Quality Assurance: GAFM is accredited by the TUV Austria and certified with both ISO 9001 Quality and ISO 29990 recognition (Learning Services for Education and Training). GAFM is the First US/EU based organization to achieve this global accreditation. Also, the GAFM was the first to effect a direct legal articulation with a government recognized national business accreditation agency for certification standards. Approved Sanctioned by the Arab League's Academy for over 20 Arab Nations. GAFM ® Quality ISO 9001 Certified : Also obtaining the ISO 9001: 2008, GAFM continues to forge ahead to ensure the quality of its programs. Therefore, GAFM is honored to be the first private certification body in EU and the USA to have obtained the ISO 29990: 2010 Learning Services for Certification Education, Professional Development, and Training. 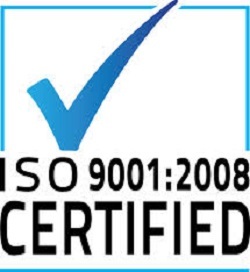 GAFM® is ISO 29990 Certified. We are the first from the USA to earn ISO Training Accreditation. - The objective of ISO 29990:2010 is to provide a model for quality professional practice and performance, and a common reference for learning service providers (LSPs) and their clients in the design, development and delivery of non-formal education, training and development. The standard encourages a focus on the learner and the results of the process, and emphasizes the full range of options available for delivering learning services. Or, if you have completed GAFM Accredited Exam or Executive Certification training financial analysis/mathmatics program. To become Accredited as a Management Consultant, you must have an masters degree in Management or related subject such as Organizational behavior or Entrepreneurship with at least 18 hours of graduate accounting studies within an accredited Masters or Doctorate Program. *Certifications from other qualifying universities or programs in management consultant may pre-qualify you for the designation. * As seen in the guides for the: U. S. Department of Labor, Employment and Training Administration. GAFM approved exams include ACBSP and AACSB accredited business school programs recognized by the Council of Higher Education.